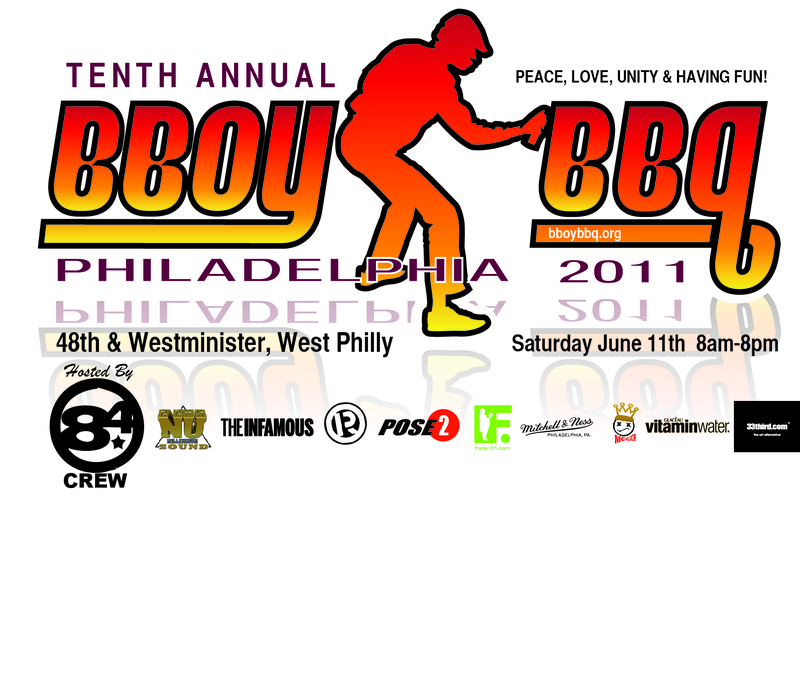 Return of the BBOY BBQ! 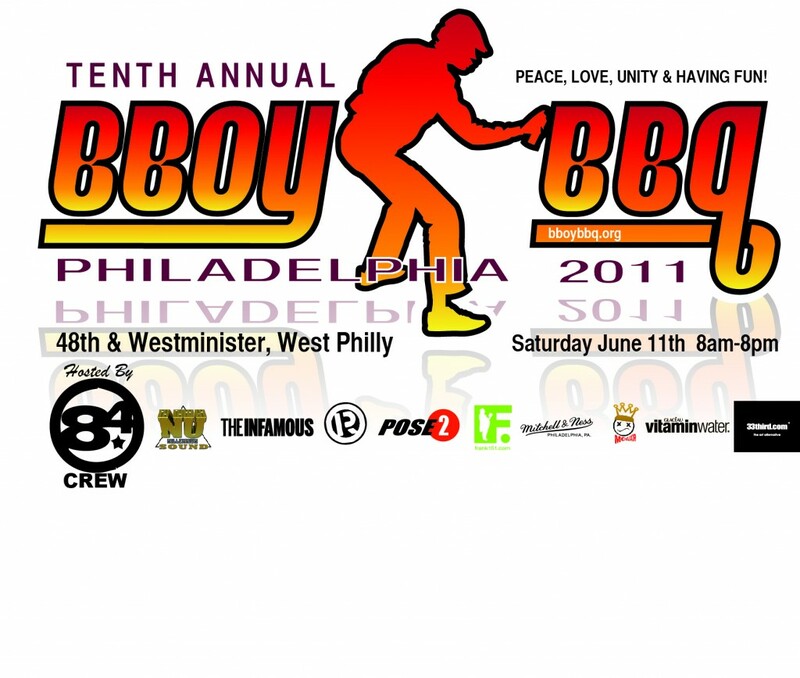 On Saturday, June 11th, 2011 we will be hosting the 10th Annual B-Boy BBQ in Philly. Since it’s inception in 1997, POSE 2, has taken this event from a local hip-hop gathering to the caliber of a world class cultural event. This yearly experience continues to grow bigger and better each year attracting individuals from California, New York, Japan, Europe and Australia. It is an oppurtunity for people of all walks of life to exper…ience all aspects of hip-hop culture from graffiti to breakdancing, emceeing and deejaying. Every year there is influx of 400-500 people of all races and ethnicities to the site of the B-Boy BBQ where they can witness local, national and internationally renowned artists in action and shop the nearly 100 vendors selling everything from spraypaint and clothing to food and face painting. This event is in the tradition of Rock Steady Day, Meeting of Styles and other large scale hip-hop events.